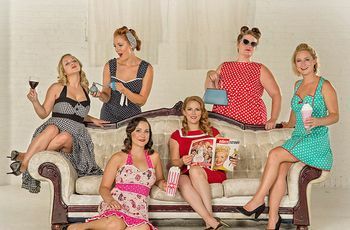 10 Halifax Bachelorette Party Ideas for Every Type of Bride | Wedding Ideas ARE YOU A VENDOR? Ready to start planning your bestie’s bachelorette bash? 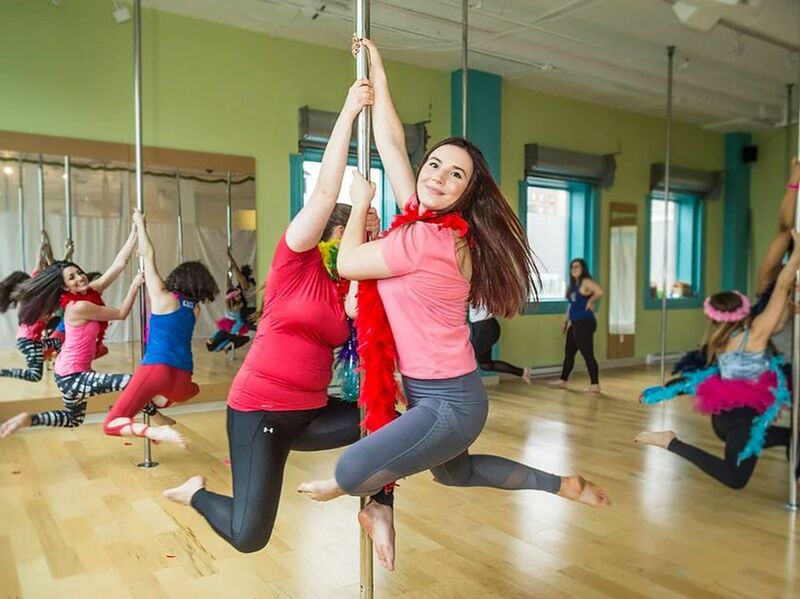 Before you start stocking up on booze and bach swag, think about Halifax bachelorette party ideas that the bride-to-be would want to do (remember, total ragers aren’t for everyone!). Lucky for you, this city is home to amazing restaurants, bars and more, so you should be able to find something that suits your guest of honour perfectly. 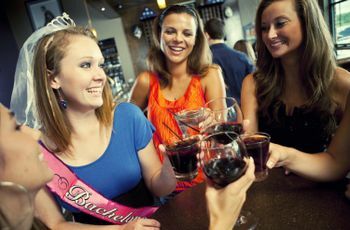 Here are a few awesome Halifax bachelorette party ideas. If you bride-to-be is jonesing for a night of blackjack, roulette and playing the slots, make your way to Casino Nova Scotia. No, this Halifax bachelorette party idea is not Las Vegas, but you can pretend! It has all the classic games, a restaurant and a live music venue, so there’s something for everyone. Word to the wise, you’ll want to set a spending limit or you may end up with more debt than dollars. Want to treat your guest of honour to a memorable meal? Skip ordering takeout and head to Lot Six, instead. 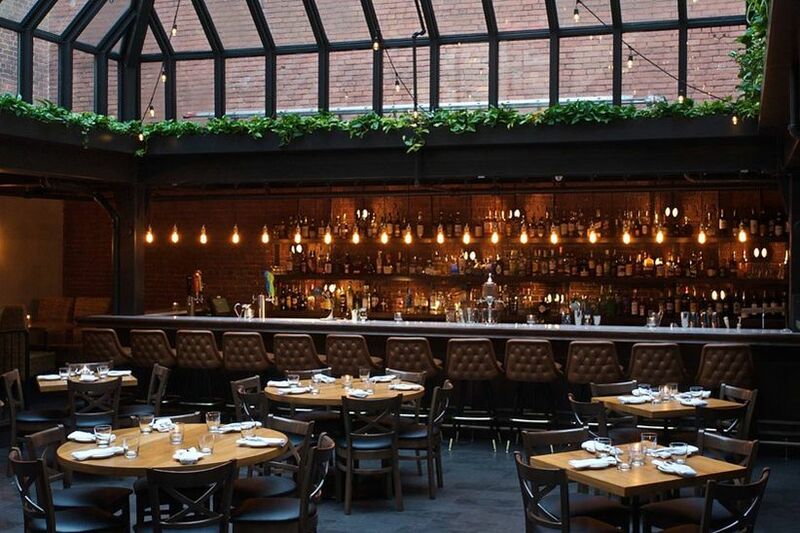 Its trendy interior is what Instagram dreams are made of and its menu is to die for (it boasts delicious eats like duck cassoulet and brown butter scallops). If you’ve got a larger party, skip reserving a table in the main room and use The Study - a private space that can seat up to 26 guests. Bonus: It doubles as a bar, so you won’t even have to switch spaces as the night goes on. Does your friend love dystopian movies? Is she all about The Walking Dead? Is she pretty much prepared for a zombie apocalypse? Well, here’s a Halifax bachelorette party idea that’ll be right up her alley –an escape room. Trapped is one of the city’s best and offers five unique games, ranging from a contaminated hospital to a medieval prison. Since a game won’t take you all day, you can easily pair this pick with another activity on this list. 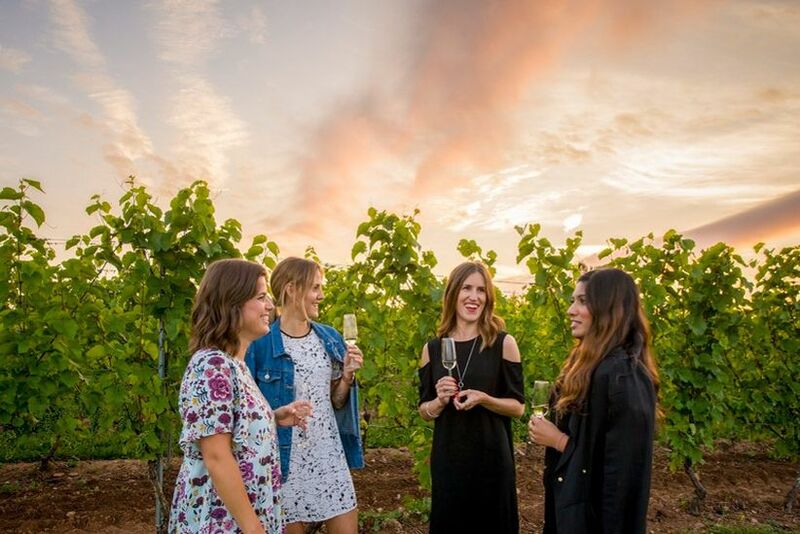 If your girls’ nights usually involve a healthy supply of vino, why not take things to the next level and go on a wine tour for your BFF’s bachelorette bash? Nova Scotia Wine tours will set up a memorable day filled with food, fun, and, of course, plenty of your favourite boozy beverage. They’ll even pick you up in the city and bring you back home when you’re done, so you won’t need to book a car service or try to talk someone into being the DD. 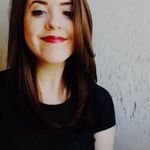 For those who want to go the tried and true route and throw a boozy bachelorette party that goes until the wee hours of the morning, hitting a club is pretty much mandatory. Naturally, Taboo, one of Hali’s premier nightlife spots, should be at the top of your list. Since this is a special occasion, we recommend spending the extra dollars and going for the booth and bottle service (the splurge will be well worth it). Is you guest of honour a fitness diva who loves trying new workouts? Instead of hitting the gym for her last hurrah, book a class with InesS. They’ll set you up with a trained professional who will teach you and your squad how to work it on a pole or burlesque dance. Since this will only take a couple of hours, you can continue your dancing spree by hitting a club later on in the night. If you’re in the market for a Halifax bachelorette party idea that’s a bit more low key, The Board Room Game Cafe might be the perfect spot. You and your girl gang can spend hours sipping on brews and wine, indulging in bar snacks and playing your favourite games (it has more than 500 to choose from). You don’t even need to put on stilettos for this one, so go ahead and wear your comfiest clothes. Does your best friend prefer bonding with Mother Nature to dancing the night away? 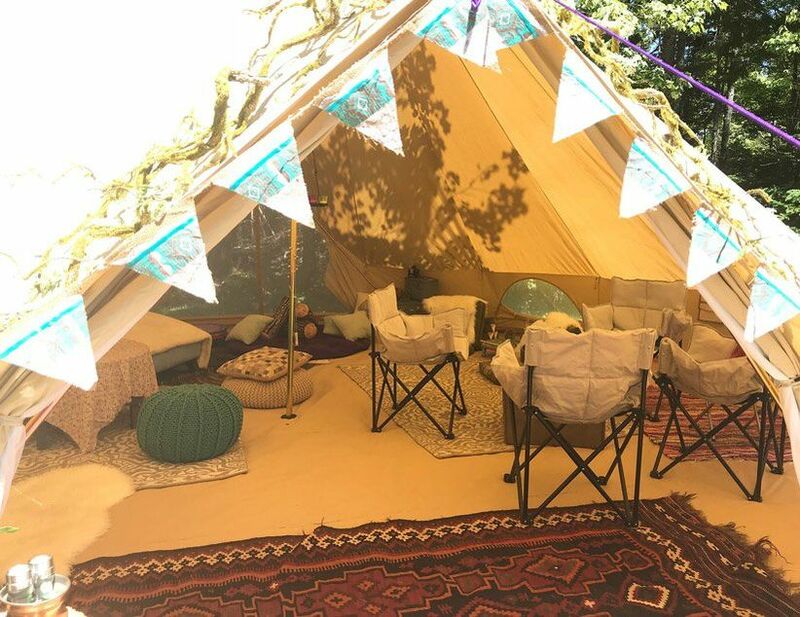 Book a trip with East Coast Glamping for her bachelorette party. 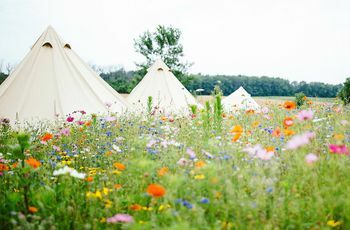 It’ll be a little fancier than your average rustic retreat - they’ll set you up with tents decked out like hotel rooms and a lounge tent - but you’ll still be blessed with the most serene surroundings. P.S. even though you’re not partying in a club, doesn’t mean you should skip the champagne - so bring along a few bottles to make it more of a celebration. 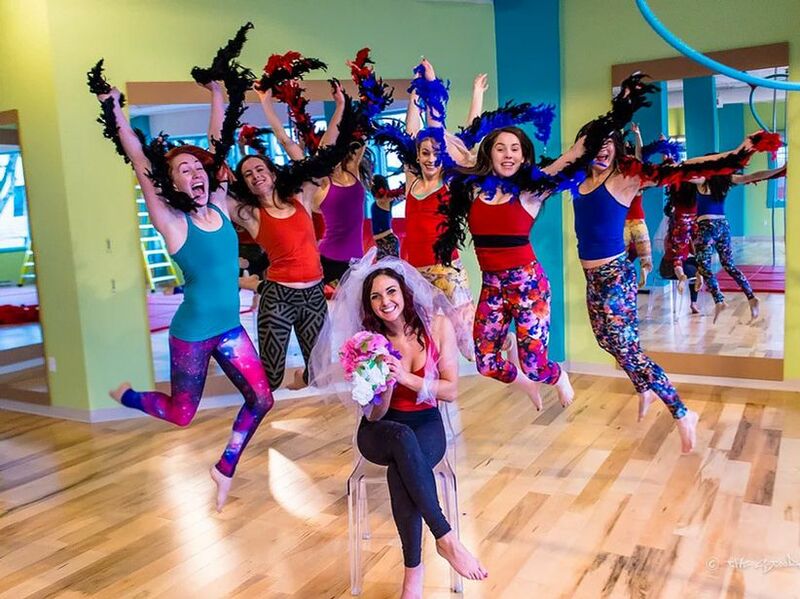 Fill the bride-to-be’s night with some laughs by hosting her Halifax bachelorette party at Yuk Yuk’s. Yes, you could throw on a John Mulaney Netflix special, but seeing stand up pros do their thing IRL is a much different experience. Have a few drinks, have a few lols and then move onto a bar or club to continue the party. 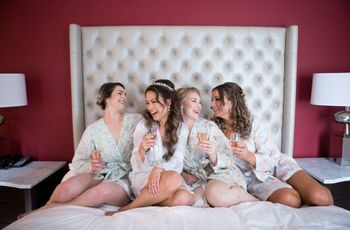 Think your friend needs to work off some of the stress she’s built up while planning her wedding? 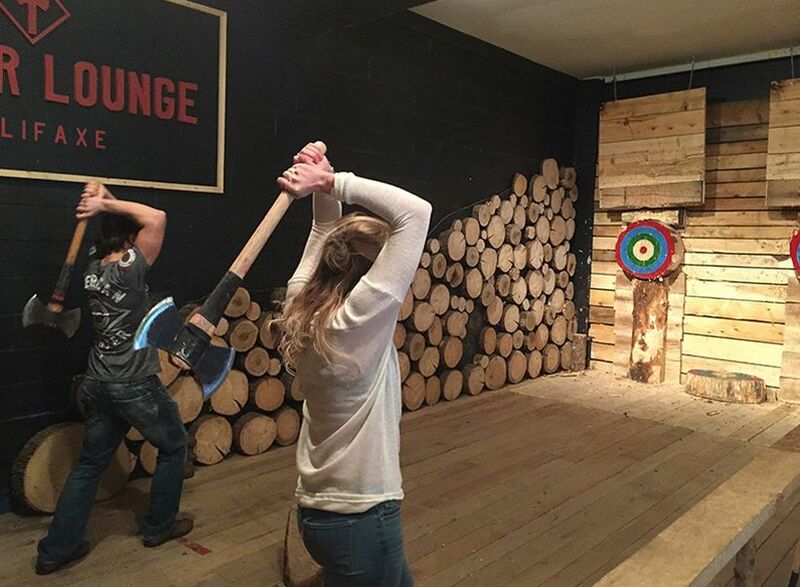 Take her to do a bit of axe throwing at Timber Lounge. It may sound a little dangerous, but it’s completely safe. You’ll get a lesson from a pro and then you and your squad can compete to see who can hit a bullseye (or come close).